NDS Surgical Imaging has obtained 510(k) approval from the US Food and Drug Administration (FDA) for its new Dome S6c diagnostic display, the latest addition to the S-series product family. Dome S6c, a six-megapixel LED widescreen model, provides both grayscale and color images. The device features 30-inch widescreen viewing and can be utilized as a single 6MP or in dual 3MP bezel-free format. 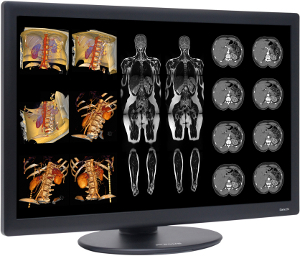 With a resolution of 3280×2048, the devise is ideal for viewing a wide range of medical imaging modalities including CR, DR, MR, CT, PET-CT, Ultrasound, and 3D Volume Rendering. The Dome S6c offers 800cd/m² high-bright LED-backlight technology and 1000:1 contrast ratio. It delivers a new benchmark in optical clarity and image brilliance in varying ambient light environments. NDS Surgical president and general manager Bill Carrano noted the industry has been waiting for a 6MP display that checks all the right boxes, while delivering an optimal solution to company’s customers. "Hallmarks of Dome’s intelligent engineering such as factory calibration, fanless cooling, non-reflective screens and ultra-slim design set the new Dome S6c apart as the most advanced, forward-thinking 6MP display available today," Carrano added. The Dome S6c display comes with a five-year standard warranty and five-year backlight warranty. The device weighs 29lbs and offers 170° viewing angle. It provides low-power LED performance. Internal characterization data keeps the display in perfect DICOM compliance for the life of the product, with no further field calibration necessary. The RightCheck hidden front sensor of Dome performs daily DICOM conformance testing automatically, and on demand by the user from remote locations via the globally accessible DomeAccess secure web portal.